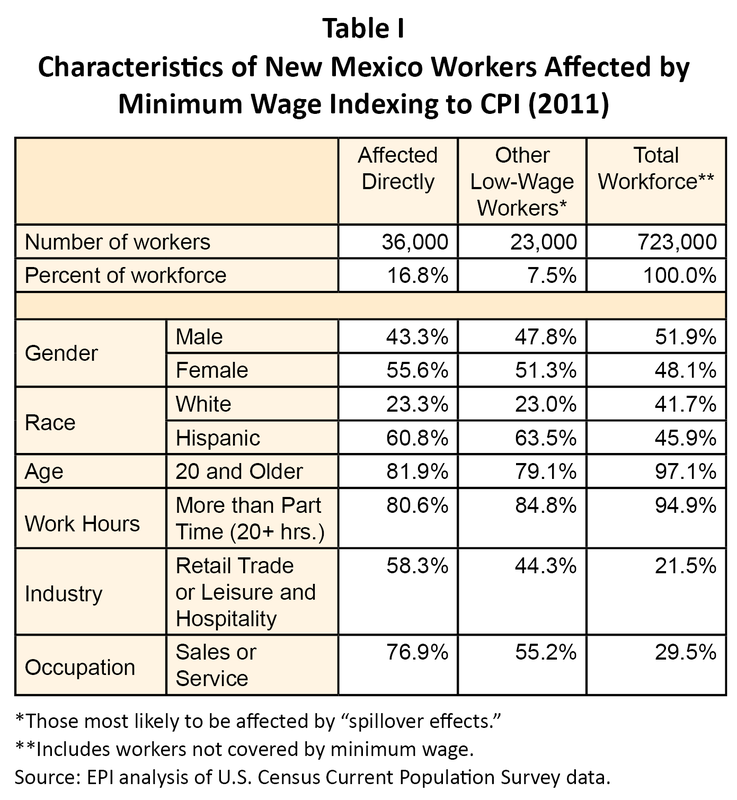 New Mexico’s Legislature is currently debating whether to index the state’s minimum wage so that it keeps up with inflation. This analysis looks at the impact an indexed minimum wage will have on economic opportunity for New Mexico’s lowest paid workers. The value of wage increases is lost if those wages fail to rise as the cost of living goes up. 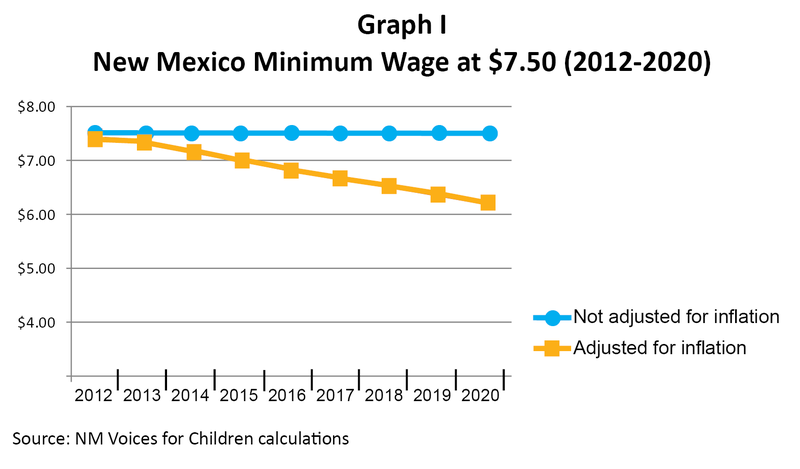 As Graph I shows, New Mexico’s $7.50 an hour minimum wage will have the buying power of just over $6 in 2020 if it’s not indexed. Just in the few years since New Mexico increased the minimum wage to $7.50 an hour, about 6 percent of the value of the minimum wage of has been lost due to inflation. That’s an average annual loss of $1,000 for a full-time minimum wage worker. About one–twelfth (or 6 percent) of the workforce —59,000 people—would benefit if the state minimum wage is tied to inflation as measured by the Consumer Price Index (CPI). 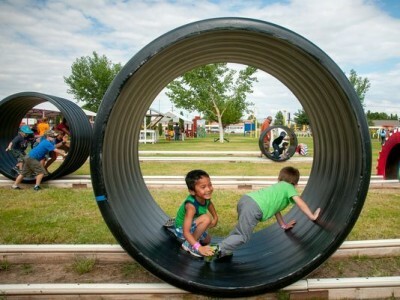 Poverty is one of New Mexico’s most severe problems. Raising wages is a critical step towards ending poverty. The hourly wage required to bring the income of a family of three up to the federal poverty level is $8.90. 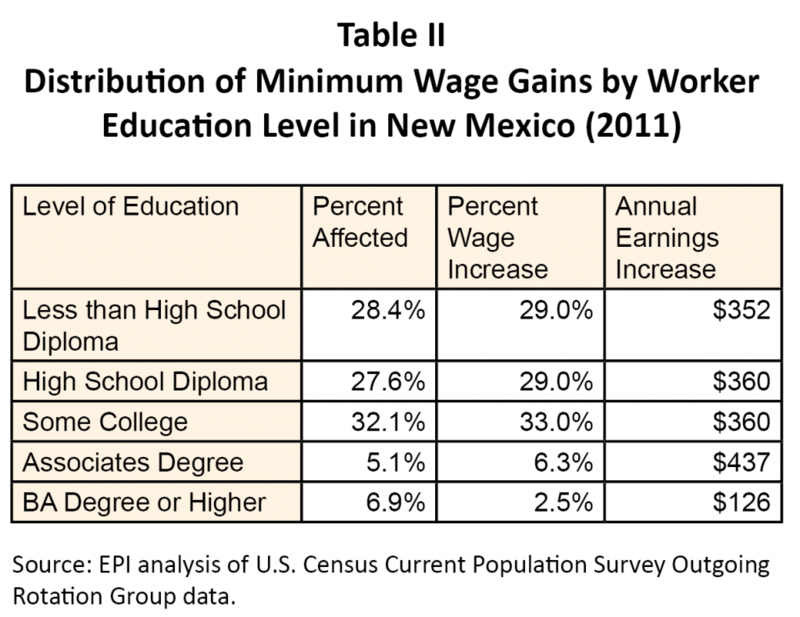 Indexing the New Mexico minimum wage of $7.50 an hour will bring a family of three closer to—but still below—the federal poverty threshold. 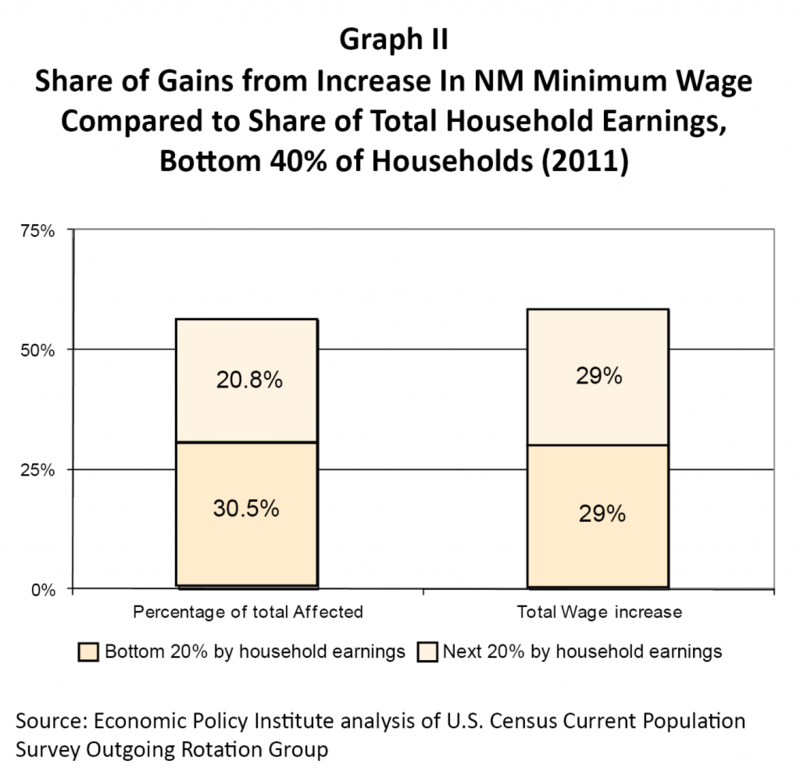 Indexing the New Mexico minimum wage would put approximately $500 per year—about $10 per week—into the pockets of hard-working New Mexicans. An additional $500 per year would help working people pay for expenses necessary to hold a job—such as car maintenance, gasoline, and child care—as well as other essentials. Low-wage workers tend to spend all of their income on day-to-day necessities, so any additional income is likely to be spent in the local economy.